In order to investigate the fate and effects in the aquatic environment of mainly the traffic-generated trace metal emissions in the city of Stockholm, Lithner et al. (2003) conducted a study during the fall of 2001 in some of the near-field storm-water-receiving water-bodies in the Stockholm area. The authors declare that in order to make "an extended ecological risk assessment, it is important to consider the bioavailability of toxicants, which are hitherto poorly known in the actual area. To improve the knowledge, biota were analysed for metals and POP in receiving waters, including Lake Malaren, Saltsjon, and three small lakes." The rationale behind the design of the study was that storm-waters in Stockholm often have high concentrations of nutrients, road-salts, metals and polyaromatic hydrocarbons (PAHs). In those parts of greater Stockholm, where the storm-water sewers are separated from the domestic waste-water sewers, the storm-water sewers usually empty in the closest surface water body, such as the eastern-most parts of Lake Malaren as well as in some smaller lakes (Trekanten and Racksta Trask) which, consequently, are the water areas in Stockholm that are specifically influenced by storm-water, mainly transporting pollutants from road and street traffic. This is in contrast with the western-most parts of the Stockholm Baltic Sea archipelago (here called "Saltsjon"), where current outfalls from the STPs have a relatively strong impact. It should be noted that up till 1985-89, two STPs were discharging their effluents to Lake Malaren, one (Eolshall) had its outfall close to a site with the name of Klubbensborg and the other one (Bromma STP) discharged at Nockeby. It is highly probable that there are some remaining accumulations of pollutants in the sediments at these sites. In order to investigate the impact of bioavailable metals and some organic pollutants (PAH, PCB and some chlorinated pesticides) possibly emitted with the storm-water to Lake Malaren, zebra mussels (Dreissena polymorpha) of unit size were transplanted to 8 different sites in the lake, along an assumed pollution gradient from upstream reference sites to central Stockholm. In addition, a site in Saltsjon was also used. The mussels were exposed to the water at each of the 9 sites for 6 weeks, whereupon the animals were defecalised for 48 hours in natural (clean) water and then analysed for metals and some organic compounds, such as PAH. Analyses of metals also included pooled samples of the crustacean species Asellus aquaticus and midge larvae (Chironomus plumosus), which were caught in shallow water close to the sites where the mussels were exposed. Moreover, adjoining sediments were sampled and analysed as were surface water samples from all the sites. The results of the analyses showed that the pollution was, in relative terms, dominated by tungsten, lead, zinc, antimony, copper, gold, silver and tin, in the order mentioned (Lithner et al., 2003). All these metals, except gold, silver and tin, exhibited a strong positive co-variation, which the authors concluded was an indication of a common source, most likely being related to road/street traffic. The main source of tungsten was supposed most likely to be car tyre studs made of tungsten carbide. That road traffic was the plausible source was confirmed by the strong co-variation between tungsten, lead and PAHs. • Total concentrations in water of the four metals of concern in the present report varied in the waters of Lake Malaren, from the levels at the reference sites to the levels in central Stockholm as shown in Table 4.3. Concentrations in Saltsjon and in the smaller lakes exposed to storm-water from traffic-intense areas are also shown. • There was no indication of any contamination of the water with chromium or nickel, neither in Lake Malaren while approaching the centre of Stockholm nor in Saltsjon or in the smaller, storm-water-exposed lakes. • Contamination of water with copper was relatively weak when moving from the reference areas in Lake Malaren to the most storm-water-exposed part of the lake. Not even the input from STP effluents in Saltsjon did have a marked impact on the Cu concentrations in the water mass. • Zinc concentrations were clearly enhanced in the most downstream parts of Lake Malaren, compared with reference sites. This was also the case in Saltsjon (3-5 times higher levels) and in the smaller, storm-water-exposed lakes, where there seems to be about a ten-fold increase in total Zn concentrations in the water mass. • A "Principal Component Analysis" (PCA) of all water data from Lake Malaren clearly showed that the trace metals Cu, Pb, W and Zn were closely related, indicating that they have a strong co-variation, possibly depending on a common origin (probably traffic emissions), while Cr -and especially Ni - were negatively correlated with the other mentioned metals. The authors stress that post-glacial clays in the region are an important natural source for Ni (and some other metals). Table 4.3. Total concentrations of metals (^g/l) in the surface layer of water in Lake Malaren, in Saltsjon and in two smaller lakes in Stockholm during the fall of 2001. After Lithner et al., 2003. • Concentration gradients for trace metals in surficial sediments are difficult to establish on the basis of reported data (few data points with very great variation). • With regard to the main focus of the report, dealing with bioavailability and bioconcentration of trace metals by measuring their concentrations in invertebrates and in the surrounding water, the only results that can be deemed reliable, and therefore discussed in this context, are those derived from the systematic transplantation experiment with mussels (Dreissena polymorpha). Metal concentrations in mussel soft tissues (after defecalisation) are given in Table 4.4. • Metal concentration data on Asellus and Chironomus and on their close environment are very limited and were collected in a non-systematic and haphazard way. The reasons why this data is omitted from our discussion are specified in section 4.2.4. • The average enrichment factor of the four metals in mussel tissue (downstream sites / reference sites) is low, about 1 (meaning no enrichment) for Cu and Ni, and about 2 for Cr and Zn. In fact, only metals such as W, Sn, Pb and Sb exhibited enrichment factors of 2.5 to 7, according to the evaluation made by Lithner et al. (2003). Table 4.4. Concentrations of some metals (^g/g DM )in soft tissues of Dreissena polymorpha after exposure for 6 weeks on stones in baskets placed at 8 different sites in Lake Malaren and one site in Saltsjon during the fall (August-October) of 2001. Figures in the table are ranges of mean values for different sites. After Lithner et al., 2003. • When comparing the lowest values in mussels from the downstream sites in Lake Malaren with the mean value at the reference sites, no indication was found of any enhancement of metal concentrations in the mussels for any of the four metals. However, it is obvious that there are some pollution "hot spots" in eastern Lake Malaren , where some enhancement of concentrations could be detected, especially with regard to Cr (4.3 times increase) and Zn (2.3 times increase). • Comparing the body burden of metals in the mussels exposed in Saltsjon (brackish water) with the reference mussels, again, there was no real indication of increased contamination caused by the emissions from Greater Stockholm. • A significant positive co-variation was established between total metal concentration in the water and metal concentration in the mussels (this was the case for Cu, Ni and Zn, but not for Cr). However, only a weak correlation remained, and only for Zn, when the calculation was based on dissolved metals in water (dialyseable metal), indicating that the relationship metal-in-water / metal-in-mussel primarily could be explained by the existence of metal-bearing food particles. • A very strong positive co-variation was also demonstrated between mussel body burdens of lead and tungsten on one hand and several medium heavy PAHs on the other, which gives support to the hypothesis that the contaminants mainly originated from road traffic. 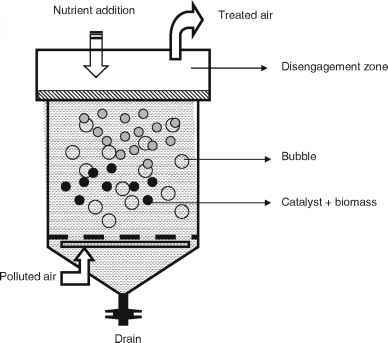 • The authors point out that the bioaccumulation factor (BAF), defined as the organism's concentration (of the substance of interest) divided by the ambient level (here measured as total concentration in the water), is a complex function of the substance's bioavailability. They also stressed that it is necessary to distinguish between essential and non-essential metals when evaluating the toxicological significance of BAF. Many groups of aquatic organisms have the capacity of regulating the uptake of essential metals, although this regulation may increase the organism's demand for energy which has to be allocated from other life-supporting systems.